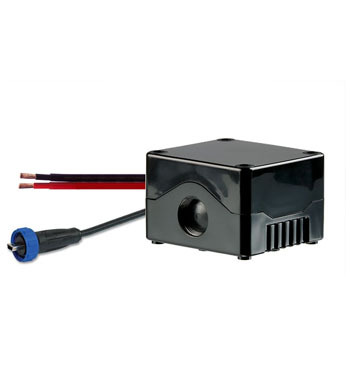 An IP67 (waterproof) power supply unit, to allow your YB3 to run on a permanent power supply. The YB3 will charge when power is present, and will run on its battery when power is not applied. Designed to run on any DC power supply from 9v to 30v, ideal for yachts and vehicles and use with the Quick Release Mount.